To find reviews, where to stay, ratings, and more tourist information, use the Flinders Ranges National Park travel route planning app . Baulkham Hills to Flinders Ranges National Park is an approximately 18-hour car ride. You can also fly. In April in Flinders Ranges National Park, expect temperatures between 29°C during the day and 15°C at night. Wrap up your sightseeing by early afternoon on the 17th (Wed) to allow enough time to travel to Coober Pedy. Arid Areas Tours has been added to your itinerary. For maps, other places to visit, photos, and other tourist information, go to the Coober Pedy tour itinerary app . The Route module can help you plan travel from Flinders Ranges National Park to Coober Pedy. In April in Coober Pedy, expect temperatures between 30°C during the day and 17°C at night. On the 18th (Thu), wrap the sightseeing up by early afternoon so you can travel to Adelaide. Your day-by-day itinerary now includes Rundle Mall. 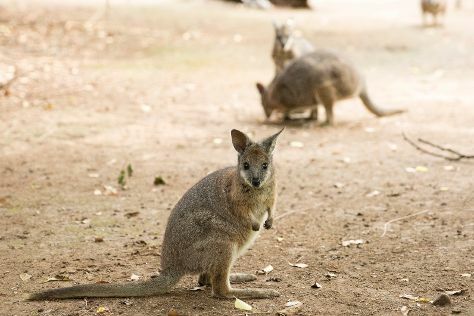 On the 19th (Fri), admire the natural beauty at Adelaide Botanic Garden, admire nature's wide array of creatures at Adelaide Zoo, contemplate the long history of Adelaide Oval, then wander the streets of Rundle Mall, and finally browse the eclectic array of goods at Adelaide Central Market. Here are some ideas for day two: indulge your senses at some of the top wineries in the area. For ratings, where to stay, maps, and other tourist information, use the Adelaide driving holiday planner. Fly from Coober Pedy to Adelaide in 4 hours. Alternatively, you can drive; or take a bus. While traveling from Coober Pedy, expect slightly colder days and about the same nights in Adelaide, ranging from highs of 26°C to lows of 14°C. Finish up your sightseeing early on the 20th (Sat) so you can travel to Kangaroo Island. 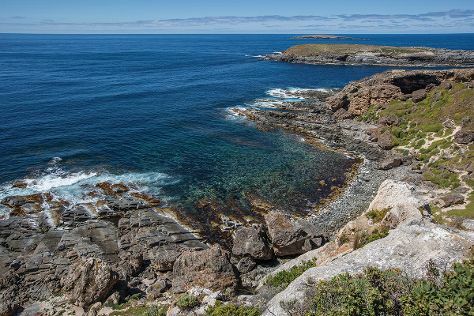 Start off your visit on the 21st (Sun): explore the wealth of natural beauty at Flinders Chase National Park. To see other places to visit, photos, maps, and tourist information, refer to the Kangaroo Island road trip planner . Getting from Adelaide to Kangaroo Island by combination of flight and taxi takes about 2.5 hours. Other options: do a combination of car and ferry; or do a combination of bus, ferry, and taxi. Cap off your sightseeing on the 22nd (Mon) early enough to travel to McLaren Vale. McLaren Vale is a small rural town in South Australia famous for producing world class red wine. Kick off your visit on the 22nd (Mon): enjoy the sand and surf at Aldinga Beach and then learn about winemaking at Fox Creek Wines. To find photos, maps, where to stay, and more tourist information, read McLaren Vale trip maker . Getting from Kangaroo Island to McLaren Vale by combination of car and ferry takes about 3 hours. Other options: do a combination of taxi, bus, and ferry. In April, daytime highs in McLaren Vale are 26°C, while nighttime lows are 13°C. Cap off your sightseeing on the 22nd (Mon) early enough to travel back home.